We are disappointed in the government’s decision not to grant Asia Bibi asylum. In the spirit of justice, religious freedom and defending those persecuted by extremists, Britain has a moral obligation to show the world we respect and uphold human rights and will give sanctuary to those oppressed overseas. In this regard, we cannot think of a more deserving case than that of Asia Bibi, and request the Home Office and Foreign and Commonwealth Office rethink their position. The extraordinary contribution of Indian soldiers to the Great War effort was highlighted with launch of the ‘Legacy of Valour’ exhibition in Parliament last week. The exhibition marked the inordinate contribution of 1.5m Indian soldiers who fought in the many theatres of war during 1914-18. The exhibition launch last Monday was attended by His Excellency Mr. Y.K. Sinha (Indian High Commissioner), Baroness Flather, Lord Singh of Wimbledon and Reading West MP Alok Sharma. Although the exhibition in Parliament is now closed, Mr Dhanjal informed the NSO he is in negotiations with interested parties and will be organising another viewing in the South East. We cannot say if a person is tall or short, thin or fat without comparing. In the same way, we cannot understand the true value of Sikhism without comparing it with other faiths. A fairly full study of other religions helped enhance my own understanding of Sikhism. My hope is that we make 2016 a year in which we look again at the powerful and uplifting teachings of our Gurus, and make others aware of balance guidance highly relevant to today’s troubled world. The attached table (NSO Faith Quiz ) was produced in October at the request of young Sikhs in Salt Lake City and California. We should encourage our children, young (and not so young) Sikhs, to complete it objectively to the best of their knowledge. The exercise will result in a greater appreciation of the richness of their heritage. 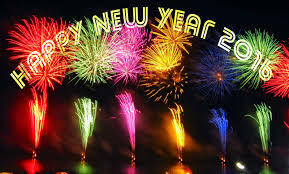 Best wishes for Guru Gobind Singh ji’s Gurpurb and a happy 2016. Today’s debate about the rights or wrongs of air strikes against ISIS, will be focused on what constitutes a just and proportionate response to ISIS atrocities in Paris and elsewhere. While much has been said and written about criteria that need to be met for a just war, less has been said about imperatives for just and lasting peace. Syria, like much of the Middle East, is a cauldron of competing rivalries, not only those of Sunni and Shia Muslims but also smaller groups: Allowites, Kurds, Christians and others. While we would all like to see functioning democracies in the region, this is easier said than done. The history of the Middle East, and many other parts of the world shows that majority rule does not always equate to just rule. Majorities insensitive to the rights of minorities, can all too easily morph into tyrannies. What is important is, not so much the process of acquiring power, as the way power is exercised. I was reminded about this at an event celebrating the birth anniversary of the Maharaja Ranjit Singh, who lived in the 19th century. He ruled over a vast area of northern India, including present day Pakistan. Although the Maharaja gained power through military might, he reached out to all communities winning both love and loyalty. Totally illiterate, he spent hours as a child in the gurdwara, listening to Sikh teachings on respect for all communities. He was deeply influenced by the Sikh belief that that token respect for other ways of life is not enough, and that for true respect, we should be prepared to put our own rights and freedom on the line, in support of those of others. The Maharaja kept this teachings close to his heart. There were more Hindu and Muslim Ministers in his government than Sikhs. He also gave generously for the upkeep and development of places of worship of all communities, bringing peace, stability and prosperity into a region that had been subject to factional rivalry, not unlike that seen in the Middle East today. Yes, this is history from the 19th century, but it contains fundamental truths that we would be wise to learn from. Reaching out to others in this way is not easy, but is possible, and to my mind, essential for true and lasting peace. We should give our full support to any group working in this direction. 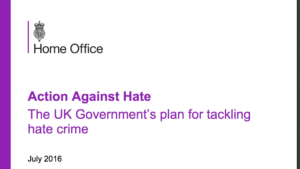 The Director of the Network of Sikh Organisations (NSO) Lord Singh of Wimbledon has asked the government for parity in tackling hate crimes against all communities, not just Muslims. The backlash to Islamic extremism is particularly heightened following terror attacks. The Sikh community is an example where bigots target the ‘Muslim looking other’ in the wake of terrorist atrocities like 9/11 and 7/7. In his book, My Political Race former government Minister Parmjit Dhanda revealed how a pig’s head was thrown in his drive following his 2010 election defeat. Racial prejudices have also motivated hate crimes against minorities. Last Week Mold Crown Court found Zack Davies a ‘white supremacist’ guilty of trying to behead a Sikh dentist in a machete attack. Davies was reported to have taken inspiration from Jihadi John, and to have chosen his victim because of his race not religion. The government has pledged it will support the recording of anti-Muslim incidents as well as anti-Semitic, across all UK police forces. There are currently no plans in place for hate crime victims from other minority faiths. Today, Sikhs celebrate the birthday of Guru Nanak, the founder of the Sikh faith. The Guru was concerned at the way different religions in his day, seemed to be more intent on rubbishing the beliefs of sister faiths than in living the values taught by their own. In his very first sermon he taught that in God’s eyes there was neither Hindu nor Muslim, and by today’s extension, neither Christian, Sikh nor Jew. That the one God of us all is not interested in our different religious labels, but in how we live and what we do for our fellow beings. With a Hindu and Muslim companion the Guru travelled the length and breadth of India, and to Sri Lanka, Tibet and to the Middle East preaching the importance of religious tolerance and a recognition of the equality of all human beings. Guru Nanak was particularly concerned about the plight of women on the subcontinent who, as in much of the world, were treated as inferior beings. He taught that women should be given full equality with men, not simply as the wives or daughters of men, but as individuals in their own right, playing a full part in society. Unfortunately, as we are daily reminded in the news, deep rooted cultural practices often tend to blur or subvert the teachings of religion which challenge unthinking attitudes and behaviour. I was vividly reminded of this while working as a young mining engineer in a remote area of Bengal, I had just received news that my wife had given birth to our first child, a daughter. I was over the moon and excitedly rushed to the house next door, that of a Sikh and told him the wonderful news. Contrary to clear Sikh teachings, his culturally conditioned response was ‘never mind, it will be boy next time!’ I was not then the gentle, easy going soul that I like to think I am today, and it took great restraint not to clock him one! Today, as we celebrate the birthday of Guru Nanak, we should all resolve to do as he did and continually challenge all forms of unjust or oppressive which often masquerades as religion, and instead focus on true religious teachings of respect for and service to all members of our one human family. 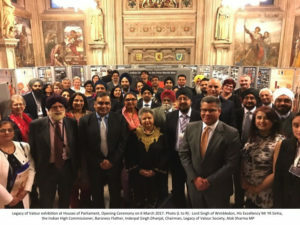 Lord Singh of Wimbledon, the Director of the Network of Sikh Organisations gave a Sikh view on abortion last week, during a debate secured by Baroness Knight of Collingtree. He said, “My Lords, as a Sikh, I am totally opposed to abortion on any grounds except that of real and serious danger to the mother’s health, and it is important that those who facilitate gender-selective abortions should be punished with the full rigour of the law. However, laws cannot create good behaviour; they can only define the boundaries of unacceptable behaviour. We must also look to education in tackling negative and outmoded cultural practices. The Sikh religion is not a religion in which “thou shalt” or “thou shalt not” are strictly imposed; Sikh teachings are couched in terms of gentle guidance about what we should or should not do to lead a responsible life. One of the few exceptions is a total condemnation of female infanticide. Sadly, this was all too common in the India of 500 years ago and was linked to the inferior status of women throughout the world. From the very start of the religion, Guru Nanak taught the dignity and complete equality of women. Sikh women have always been able to lead prayers and occupy any religious position. The 10th guru, Guru Gobind Singh, gave women the name or title Kaur—literally, “princess”—to emphasise their dignity and complete equality. A Sikh woman does not have to take her husband’s name but remains an individual in her own right. Despite the clarity of such teachings, negative sub-continent culture for some, even in the Sikh community, leads to discrimination against women and girls. Perversely, it is women who are often responsible, with mothers lavishing extra attention on male children. Even in the West today, a new birth is frequently accompanied by a joyous cry, “It’s a boy!”. It is not so long ago that the birth of a girl to royalty was greeted as a national calamity, on a par with the loss of a test match. Other Peers who participated in the debate, included Lord Patten, Baroness Barker, Baroness Hollins, The Lord Bishop of Leicester and Baroness Flather.